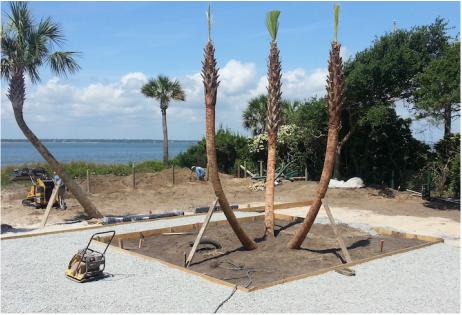 Spring 2014 - YardWorks landscape crew installing fencing, hardscape, sod, plants and Sabal palms on Sullivan's Island. After your dreams are put on paper, our highly skilled Landscape installation team will breathe life into those dreams. As a full service Design-Build Landscape company, we will build from existing design plans or plans developed by our in house design staff.